I found this in the New York Times, and thought it was worth sharing. 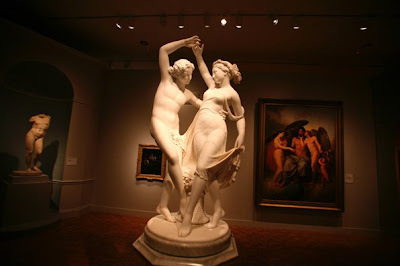 The article discusses how the economic downturn is affecting museums — specifically older, more established institutions; and how this is compelling several to reevaluate the collections on display, their placement within the museum, and experimenting with making the experience more “people friendly”, as opposed to the lofty separation that museums often establish. There are a few interesting case studies provided, including the Detroit Institute of Arts, pictured above (Photo: Tom Pidgeon).